Most people give up tracking their calories after a few days. Maybe a couple of weeks if you're really motivated. Even then, you eventually stop tracking because data entry is tedious and time consuming. Our system drastically simplifies calorie tracking by reducing the data entry part to sending a text. A simple task you're already familiar with. Enter your phone number below and we'll send you a a text message to get started. Or download the app from iOS App Store or Android Play Store We hate spam too! We won't sell your phone number and we'll message you only when needed. 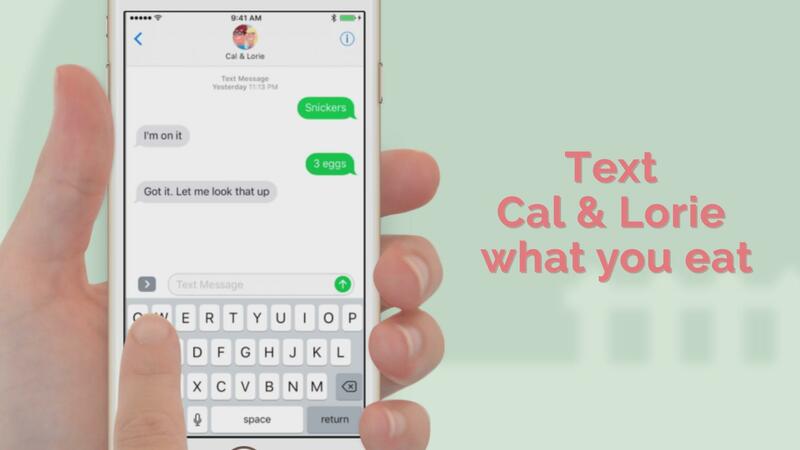 Cal & Lorie are people and computers working together in order to simplify calorie and nutrition tracking for you. You should receive a link to download the app via a text message.